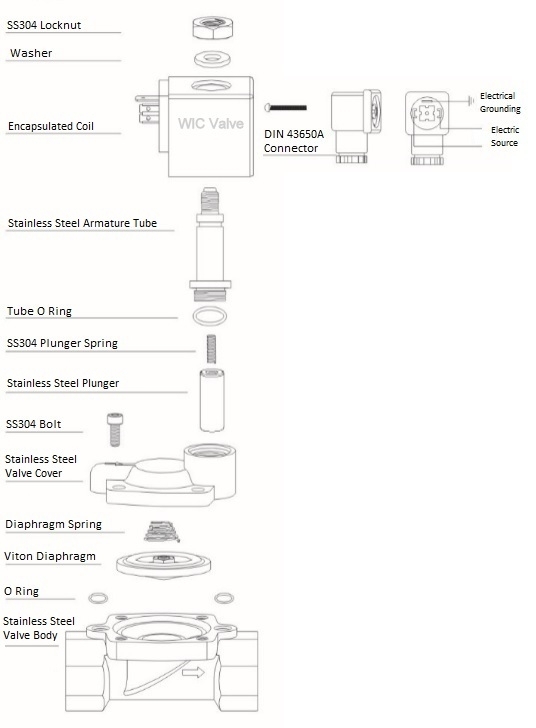 WIC Valve 2SCD series 2 way normally closed slow closing solenoid valve is to control On/Off of air, inert gas, liquid, Hot Water and oil. This industrial electirc solenoid valve has one 1" inch NPT inlet and one 1" inch NPT outlet port. Valve stays close when the coil is de-energized, and it opens when energized. 2SCD Series solenoid valve comes with a ED 100% encapsulated coil which suitable to operate in continuous service and constantly energized. 2SCD Series slow closing solenoid valve effectively reduce the water hammer effects, protect against water hammer damage. 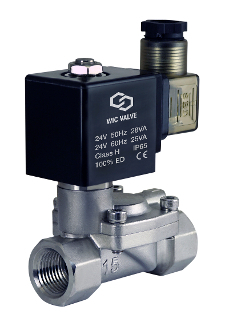 What is the advantages to use slow closing valve? 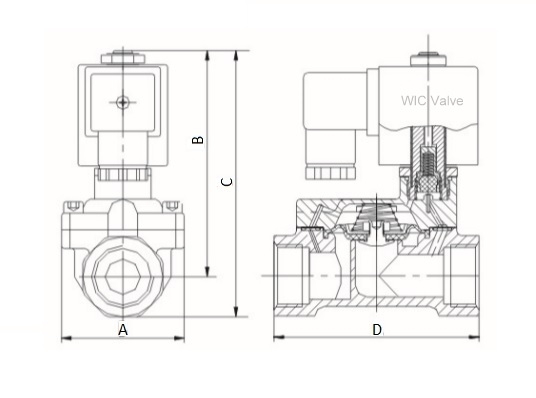 The 2SCD series valve is a slow closing pilot solenoid valve, the advantages of the slow closing design is to eliminate water hammer problems and protect system against water hammer damage.